This brick pattern adds a tuscan feel. 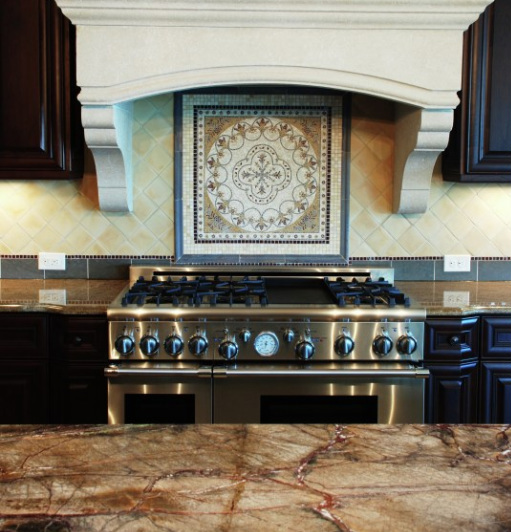 This kitchen backsplash becomes a focal point in the room with the addition of a detailed mosaic. A pattern can add dimension to a floor. This back splash is the new center piece of a beautiful kitchen in Hickory, NC. 'Basketweave' pattern was used on this fireplace. This client adds detail with an artistic accent band. Nice use of travertine and marble here. 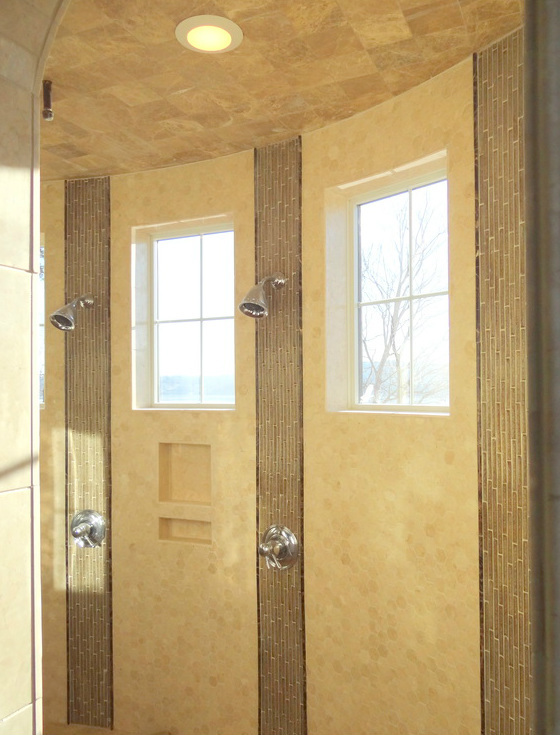 Many clients like to have their shower ceiling tiled. Pebbles add an interesting touch to this shower floor. 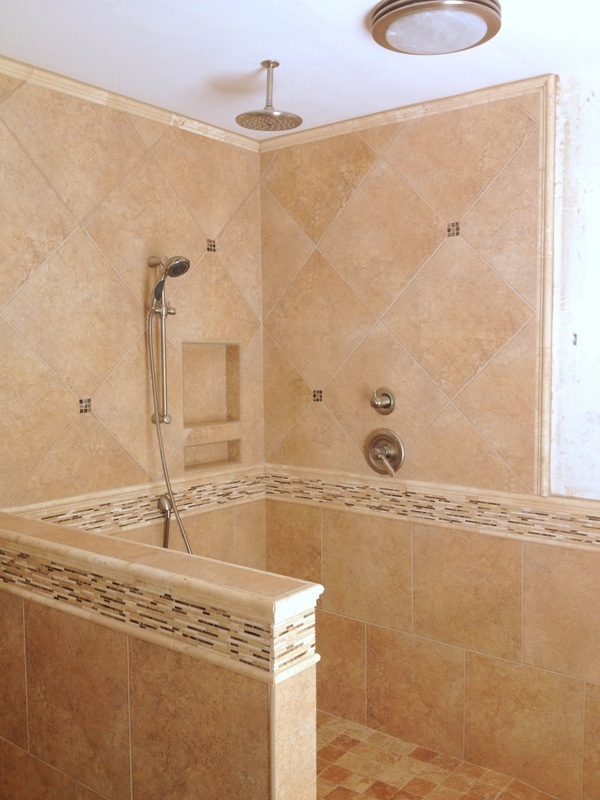 Almost all clients request 'niches' in their shower to replace shower cadies. 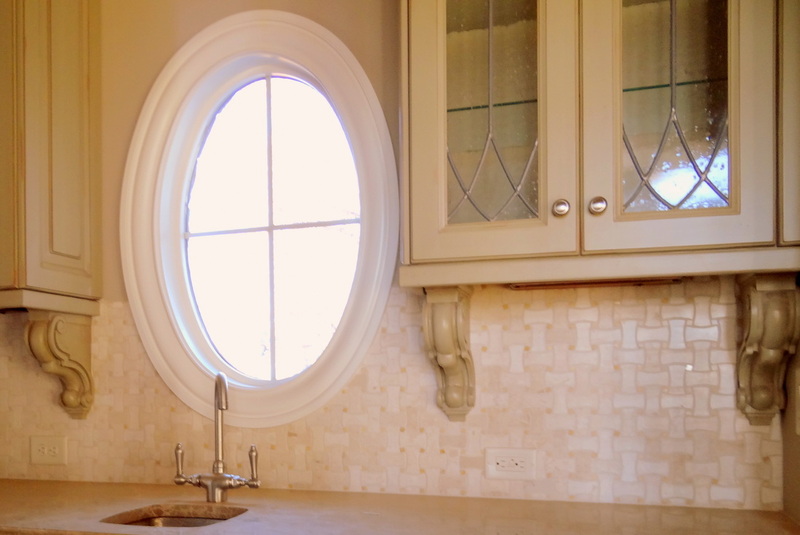 This niche stands out with the addition of an accent light. Slate is a natural material that comes in many shapes and sizes as seen here. Turn a plain tile into something special by adding an accent band. 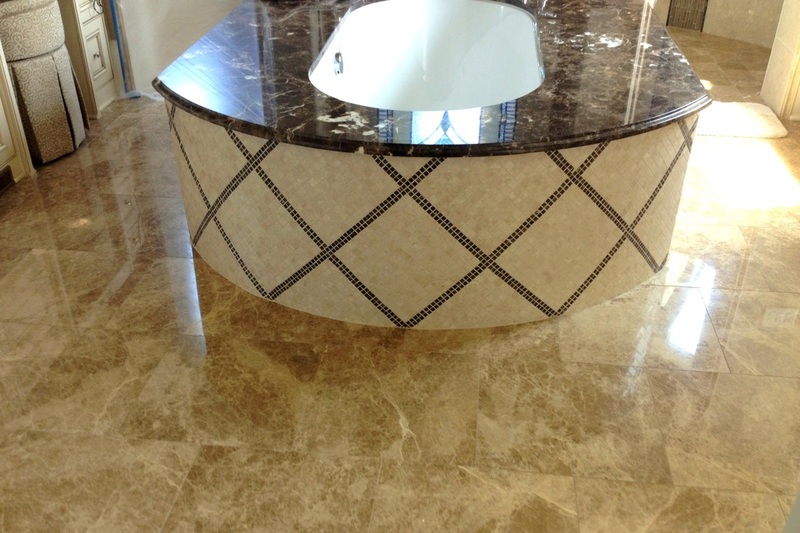 Don't forget to check out our "Tile Samples" page for more design ideas!